Wishing upon an American star: A review of "Another Son of Venezuela"
Migguel Anggelo, a Venezuelan immigrant, along with his band, “The Immigrants,” put on "Another Song of Venezuela," a musically based theatrical performance detailing the struggles of immigration, on September 28. 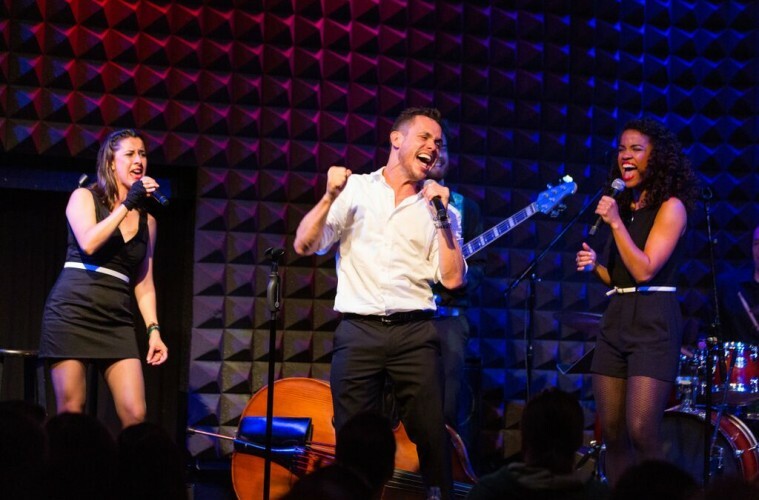 The performance opened at Joe's Pub, a cozy dinner-and-drinks venue in the West Village. The performance was a string of different stories and themes told through musical expression, dance and acting that took the audience on a journey across various countries and cultures. From the Cuban mambo to German folk music to Latin American opera, there seemed to be nothing that Anggelo could not do, no culture he could not express. The piece explores multicultural and bilingual issues and the experience of being an immigrant. While there is a focus on Latino culture, songs from Germany, America and the United Kingdom are also featured in the performance. From the first story told and the first song played, Anggelo’s passion began to fill the room. His comedic nature eased the way for a true response of passion in his longing for passage into America, a longing that the audience could feel as he sang, asking how long until he would be free. Anggelo satirized the broken Spanish of immigration officers, telling the story of a woman who was entering America before him. He did dialogue between her and an officer, speaking the Spanish language with a thick American accent. Though a minor detail and told with a light heart, the point of language barrier was evident. This became even more so as Anggelo forced non-Spanish speaking audience members to feel the discomfort of not understanding what is being said. Throughout the show, several of the songs were told in foreign languages; however, lack of understanding for the language was not a barrier to enjoyment. Anggelo’s ability to dance and act both shined as he told stories with his movements, rather than his words. During the performance, Anggelo sang “Cuando Deseas Bajo Una Estrella” (translated in English as “When You Wish Upon a Star”). The familiar music from the American classic “Pinocchio” mixed with the Spanish language created a connection of understanding between two cultures. The familiar idea of wishing for something better, of reaching farther than one’s circumstances was transcendent, bridging a potential divide between immigrants and American natives. This was only one example of how music was being used to create connections. “The music, both the original pieces that I have written with Mau Quiros and David Drake as well as music that has been incredibly meaningful to me throughout my path - whether that be classic boleros or opera - takes the audience on a journey and provides the entry point to themes of heritage or the open door to memories,” said Anggelo. Some such memories stemmed from Anggelo’s experiences growing up. During the performance he sang a Mexican lullaby that his mother sang to him when he was a child and talked about how his father would often sing to his mother and loved her dearly. He said that this love was one of the only things he and his father had in common - his father was an abusive drunk and was ashamed and appalled by his son’s homosexuality. The way he told the story expressed such fervor that one could feel the pain of childhood tears rising in Anggelo’s throat. He also painted a vibrant and violent picture of the abuse and pain he had faced from his father growing up, using nothing but words, pitch and movement. Anggelo’s performance transcended the multitude of cultures and languages around the world in that it united experiences and emotions that immigrants from all over endure and feel.